You might be asking yourself what exactly an “air combat ride is.” That’s okay. There aren’t many of them. In fact, not only is this flight the only one of its kind in San Diego, it’s the only one if its kind in the world! 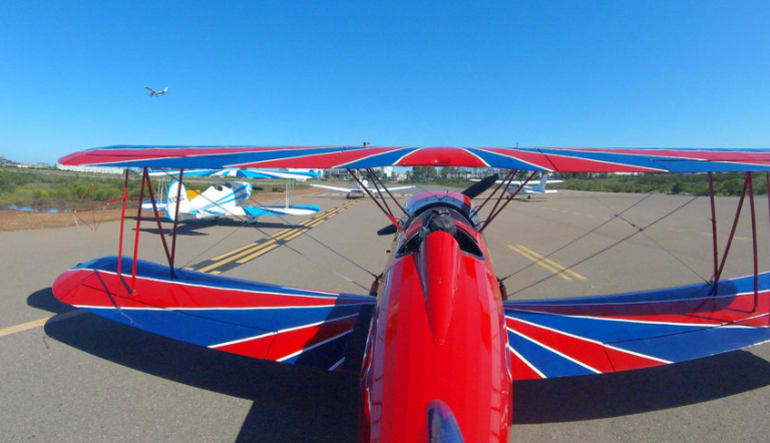 An air combat ride is a scenic adventure that takes place in a biplane. The plane performs incredible formations aside other aircrafts in the style of a WW1 dogfight! The kicker? You also get to handle the craft yourself! Start with a 45 min ground lesson. Get acquainted with the aircraft and the maneuvers. 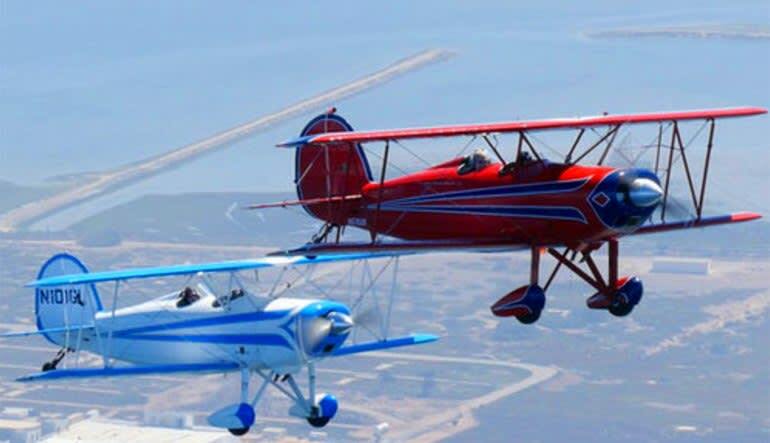 Settle in to the vintage flying machine, which takes off alongside a fleet of biplanes! With the wind against your face (it’s an open cockpit! ), you’ll lose your breath at the thrilling aerial acrobatics. 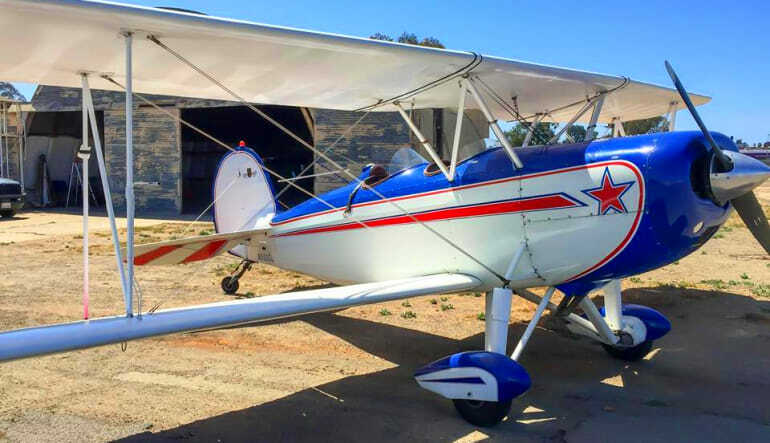 Take the stick and control the aircraft over San Diego’s scenic coastline! Perform four to five engagements including high and low yoyos and other WW1 fighting moves—you’ll be pulling three to four G’s! All your flight time is logged plus you’ll receive a ground debrief and an official framed certificate. This adventure really is a step back in time and it doesn’t skimp on the details. 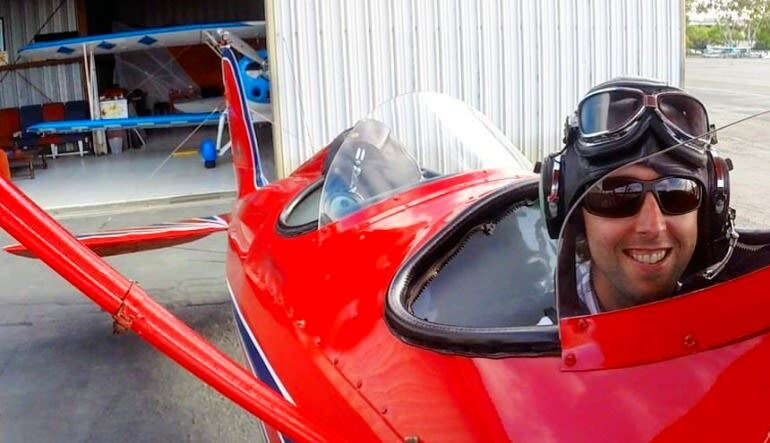 Not only do the planes perfectly fit the part of the era but you’ll also be equipped with a WW1 leather helmet, vintage goggles and an old fashioned flight suit! Please note that all passengers will be required to sign an acknowledgment of risk on the day of the flight.